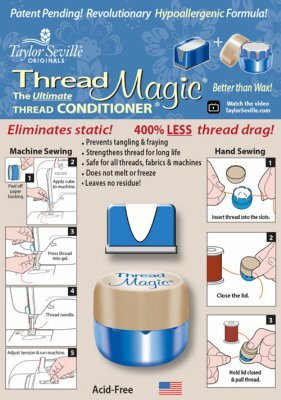 The Ultimate Thread Conditioner. Strengthens thread while eliminating static. Prevents tangling and fraying. Safe for all threads and fabrics. Safe for all machines. Does not melt or freeze. Leaves no residue.